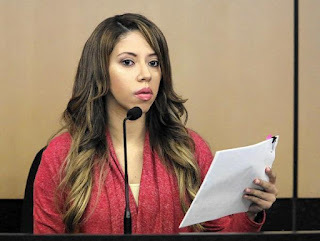 In 2011, Dalia Dippolito was convicted of hiring a hit man to kill her husband of six months. The Boynton Beach jury deliberated and found her guilty in three hours. The judge sentenced her to 20 years in prison. That case was overturned on appeal, due to material errors in the jury selection process. The case was retried in December 2016. On December 14, Judge Glenn D. Kelley declared a mistrial. A count of the juror decisions indicated three to convict, three to acquit. The prosecution plans to try this case a third time. 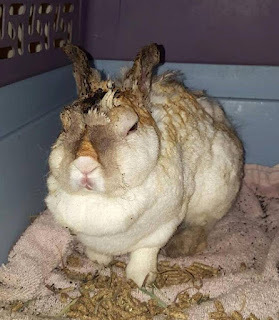 Comments from Allen: This case is unusual in so many respects. I have to be impressed by the team of defense lawyers Brian Claypool and Greg Rosenfeld, who took a case that was lost quickly and unanimously five years ago, and on the retrial they convinced half the jury that Dippolito was not guilty. A family of a teenager who was allegedly groped on an American Airlines flight has filed a $10 million lawsuit against the suspect, Chad Camp, and American Airlines. The lawsuit lists the ways Camp abused the unaccompanied teen and how the airline failed to protect the teen. American Airlines has been reviewing the lawsuit and cooperating with the FBI investigation. The teen's family paid for her ticket and the extra fee for her being an unaccompanied minor. She even met the flight crew before the departure and spent time with the crew and employees. The teen was seated in a window seat in the middle of the plane, and Camp was seated directly next to her even though the plane was only half full. On July 5, Alton Sterling was shot multiple times and killed outside a convenience store after an altercation with two police officers. Police officers had responded to a 911 call, wherein the caller stated a man selling CDs outside the store had threatened him with a gun. 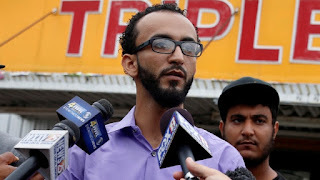 Now the owner of the convenience store Triple S Mart, Abdullah Muflahi, is suing the police. He claims that he was illegally detained by the police for four hours in the back of a police car after the shooting. The only time Muflahi was allowed out of the car was to go to the bathroom, but he wasn't allowed to use the bathroom inside his store and instead had to relieve himself outside in front of the police and in full view of the public. Then the police confiscated the store's security system without a warrant and confiscated his cellphone, where he shot video of the entire incident.